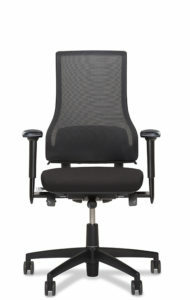 Durable office chair - BMA Ergonomics. You want the best for the world around you. And that’s why you prefer buying sustainable products. It’s probably not something you’ve given much thought to, but buying a sustainable office chair contributes to a sustainable earth. At BMA Ergonomics sustainability runs like a golden thread through our business. In all phased of the cycle. 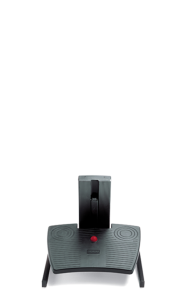 In the development on production phases. But also in the use and recycling phases. Our basic principle is that waste shouldn’t exist and that the circle of materials should be a closed one. And we put that into practice every day. 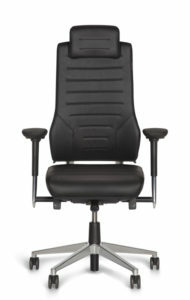 In addition to being ergonomically responsible, your BMA office chair is also a model of sustainability. And that sits more comfortably with your conscience! Most VDU chairs are on average decommissioned after ten years. And that’s a shame, as many parts of your chair have a much longer service life. Which is why every BMA chair you buy has a return guarantee. How it works? Your old chair is collected by BMA Ergonomics after ten years. 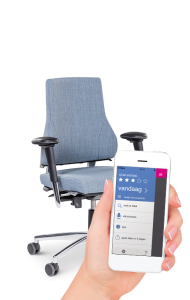 You then receive a fixed amount in return, which you use as a discount on your next chair. Your old chair is taken to our disassembly station where it is taken apart. Parts suitable for re-use are put directly back into service. All other parts are returned to our suppliers where they are recycled. 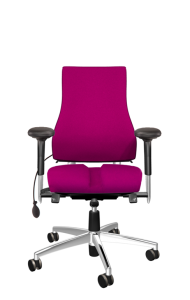 So each BMA chair is made with a major focus on the environment. The video shows how we keep the technical circle closed. Join in with our Japanese delegation and let us surprise you.